"HOW TO ENSURE SECURITY PLATFORM SUCCESS"
When it comes to ensuring the success and effectiveness of a security platform, many users are not aware that common points of failure are often key components in supporting edge devices such as locking hardware, cameras, card readers, and other signaling devices. If key components fail, its users, property, and assets are made vulnerable until systems and components are serviced and repaired. This "break/fix" scenario tends to be the most traditionally followed repair model among security system users — and the most risky. 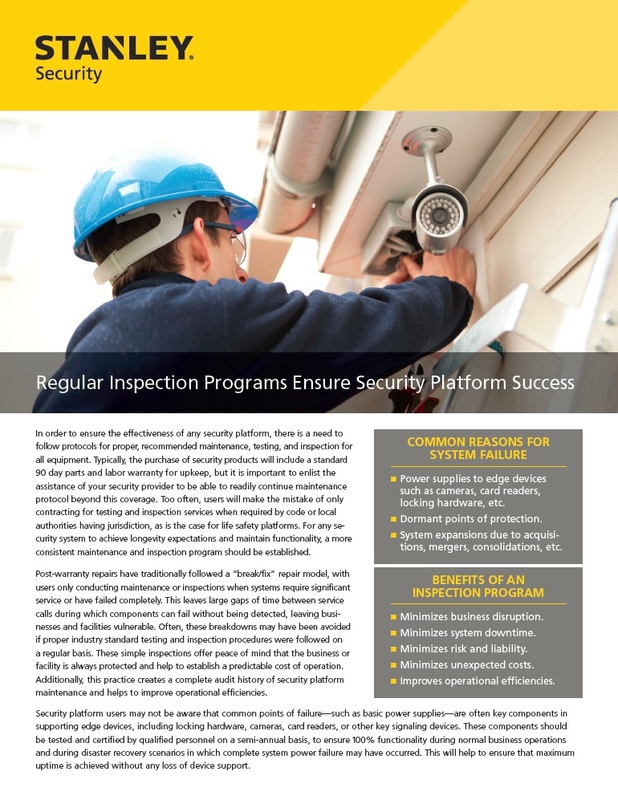 Conducting maintenance or inspections during times of system failure increases the risk of operational inefficiencies, liability, and system downtime.